"Living close to the sea it’s hard not to be inspired. I’m a keen surfer and spend many days at the beach in and out of the sea collecting glass. I love how silver flows just like water and I like to portray that in my work. 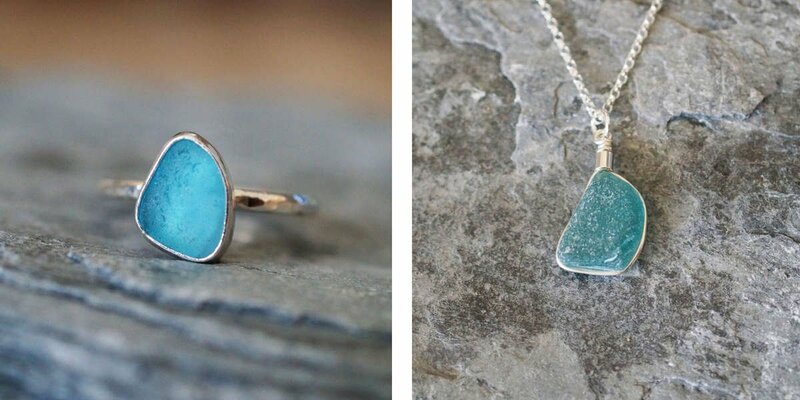 My aim is to enhance the raw beauty of the sea glass and the natural charm of the gemstones. My style is minimal, elegant and feminine with a hint of mermaid." Meet Sadie, the founder, designer and creative behind every piece of Sadie Jewellery — this is her story. 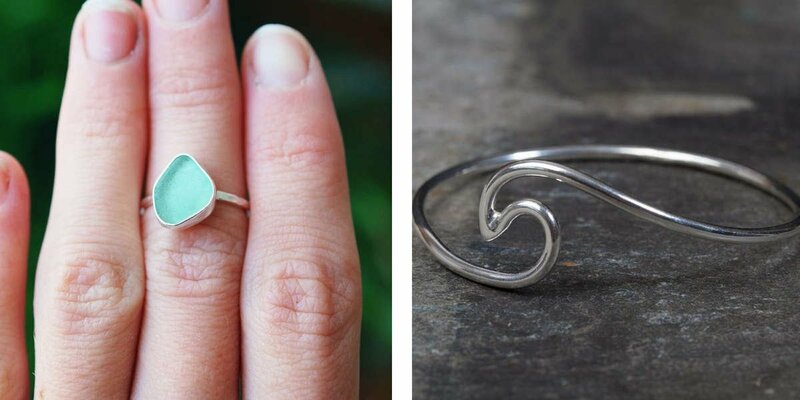 How did you come up with the idea of Sadie Jewellery and what made you want to start your own company? 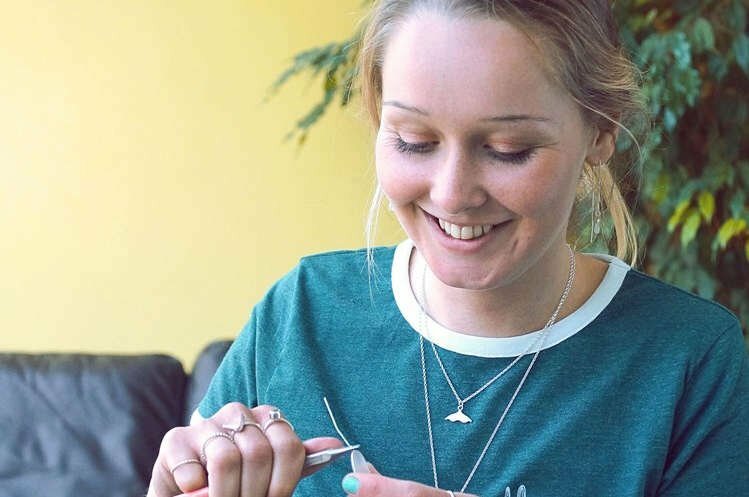 Sadie Jewellery originally started in 2013 as a hobby, a year on I was invited by Barclays Bank in Newquay to display my work outside their branch as at the time they were promoting local start-up businesses. A fantastic opportunity kick starting it all off. I attended as many craft fairs as I could and also experimented with online sales. It was summer 2015 that I started to sell through local surf shops, this was when it really transitioned from a hobby to a business. 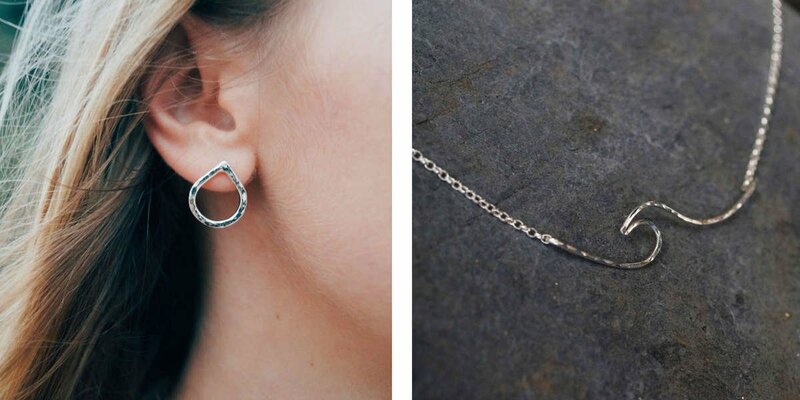 What’s unique about Sadie Jewellery? I have my own style, feminine and elegant with mermaid vibes. My aim is to show off the raw beauty of the sea glass and gemstones. 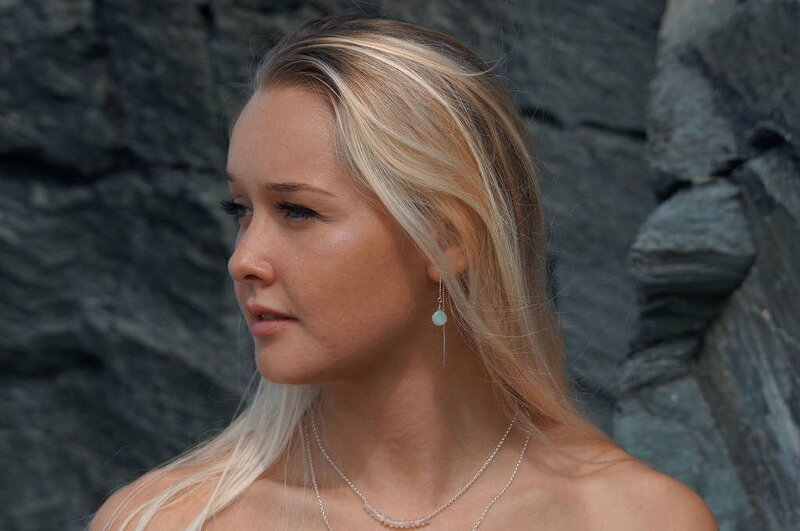 I believe that my passion for my creations & the inspirations behind them is pretty unique & provides Sadie Jewellery with a brand that is just that little bit different than the competition out there. Sadie, what’s your favourite material to work with in your studio? That has to be silver, It’s so malleable and fun to work with. One of my favourite tools in my studio is my rolling mill. You can emboss all kinds of delicate textures which is incredibly satisfying to do so. 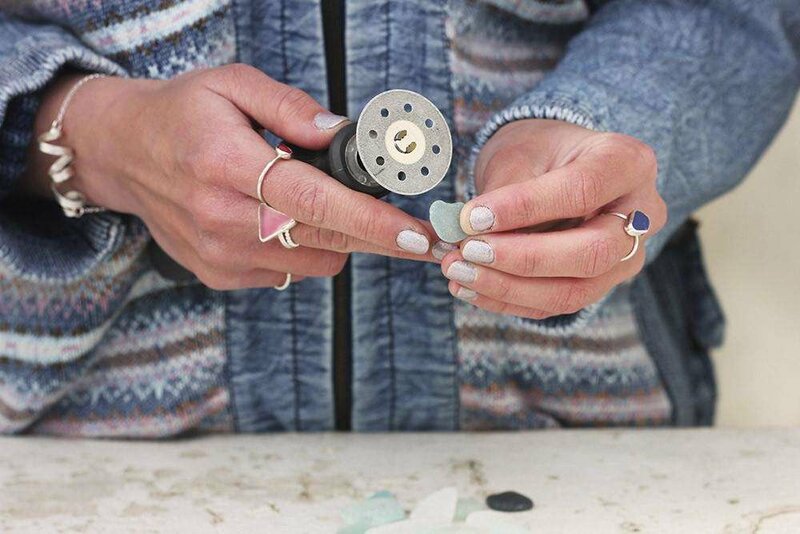 Have you always had an interest in jewellery making? Always! Ever since I was young I knew that I wanted a career in the creative industry. My mum bought me my first “make your own jewellery” kit when I was 5 and I guess that was where it all started. How long have you been surfing and what get’s you stoked about surfing? Growing up in Cornwall I have always been in and out of the water since I was small. It wasn’t until I was 18 that I really started surfing regularly and fully got the bug! A good forecast on the horizon always gets me excited. My go to spot is Watergate Bay, I also love the St Ives area. What’s the best and worst thing about surfing? The best part of surfing is having fun, improving and not taking life too seriously. What better way to take in our beautiful surroundings? The worst things are damp sandy wetsuits, they are absolutely disgusting! I have a shallow horse feed bucket to get changed in and a bottle of water to avoid this. Highly recommended! Exciting, positive, challenging, overwhelming, creative.